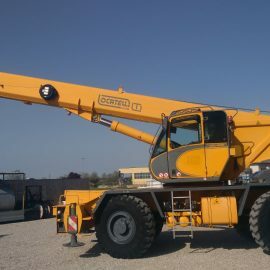 The Locatelli is an Italian manufacturer of telescopic hydraulic cranes, specialized in the production of rough-terrain crane. The range of rough terrain cranes ranging from 60 tons to 12.5 tons. Over the years, technology-Crane S.r.l. has dealt with many of the brand used crane Locatelli.